Leslie was our agent when we purchased our cabin and then again when we decided to sell it. We were so impressed with her work ethic, knowledge of the market, attention to detail, and responsiveness when we originally purchased that we couldn't imagine listing our cabin with anyone else. Our Cabin sold in less than a week in a large part of Leslie and all that she did on the marketing end before it went live on MLS. From state to finish Leslie was wonderful to work with. From listing to closing was a matter of weeks! We were hesitant to list our condo because similar condos in our community had been on the market for months and months with little or no activity. When Leslie was recommended to us by our insurance agent, we jumped at the chance. She hit the floor running! There were double digit appointments for showing the condo within 7 days and we had to offers and a contract in less than 2 weeks. Leslie and her team at Keller Williams High Country Realty are "THE BEST" if you are planning to sell your home. She is very professional, hard working yet very approachable. I had many questions during the home sale process and she responded immediately every time, even when she was out of town. Her recommendations to resolve various issues were always spot on. I felt that Leslie had become a part of my extended family. Can't wait to meet with her again when I decide to purchase my next home. Recommend Leslie Eason and her team without hesitation. Went the extra mile to ensure house sold quickly at full ask. I was expecting the home (cabin in the mountains) to remain on the market for some time. Very happy it didn’t. Leslie was so helpful and passionate during our purchasing process and afterwards as well - she made sure we were all settled in and had no issues. We recommend Leslie to you hands down! Laurie Chilelli is a very competent, thorough, patient and dedicated person. She is an excellent realtor. She helped us with the sale of our vacation home in North Carolina. I live in Florida which required additional effort that Laurie expertly handled. Laurie recommended ways to improve the house and helped set the house up for viewing. She continually kept me informed about potential buyers and answered the numerous questions that I had concerning listing and contract information. She was available most of the time and returned my calls promptly. She is a very dedicated and polite person with a positive attitude. She is a credit to her profession. I would not hesitate to hire Laurie Chilelli as my realtor again and would highly recommend her as a realtor. In 2012 she found the house we were looking for. In 2017 she sold the house for us. She advised me how to get the house ready to sale. She does a great job of advertising with color pictures and all the information on the home. She puts this information on all the sites for all to see. She also is fun to work with. Leslie became a good friend. You can't go wrong by using her. Leslie was absolutely amazing to work with on the sale of our home. The property was a second home and our primary residence is 2 hours away. We needed someone who would be able to stand in for us since we wouldn't be able to easily/quickly get to the property. She was the perfect person and never let us down. We even had a large tree fall that was blocking the driveway. She not only let us know when it happened but also got multiple estimates for us so we could make an informed long distance decision. This is just one example of how Leslie was willing to go above and beyond the call of duty. I would highly recommend her services and if I ever need a realtor in the area again, I will definitely call her! "I hired Leslie end of September 2016, entered into contract with prospective buyers by mid December 2016 and closed on the house 2/15/2017. I think very highly of Leslie for several reasons of which most relevant to me were her professionalism, knowledge of her field, and attention to detail. I can state with no hesitation that I would not have sold the house without Leslie's assistance. This is the first house I owned but I have worked with other agents int he process of looking for the house and interviewing in several different states in the United States and Leslie wins hands down. I only regret she cannot assist me find a new house at my new location. I would recommend to a family or a friend without hesitation." "My husband and I were looking for a second home. Leslie was very patient with us in the 9 months it took to find a home! She knows the lay of the land, the ins and outs of so many communities which she showed most of to us! (Lol) We are in a great location 2 hours from our main home and absolutely love our vacation home! Leslie was there all through the process and you won't be sorry if you choose her as your real estate professional." "Leslie was absolutely amazing to work with on the sale of our home. The property was a second home and our primary residence is 2 hours away. We needed someone who would be able to stand in for us since we wouldn't be able to easily/quickly get to the property. She was the perfect person and never let us down. We even had a large tree fall that was blocking the driveway. She not only let us know when it happened but also got multiple estimates for us so we could make an informed long distance decision. This is just one example of how Leslie was willing to go above and beyond the call of duty. I would highly recommend her services and if I ever need a realtor in the area again, I will definitely call her"
"You should stop looking around for a real estate agent now. Leslie will be the best agent you can find and I am 100% certain that you won't find anyone else better than her. She is a total professional, very knowledgeable about the market, kind, supportive, and a wonderful person as well. My husband is a very demanding perfectionist, and where other realtors might have thrown up their hands, she was gracious and her timely answers to his endless emails made for an exceptional purchasing experience. Leslie Eason is truly phenomenal!" "Leslie is awesome, she is down to earth and very approachable. She understands the needs of buyers and sellers and helps them come together in a very friendly and supportive way. She is very honest and candid which we liked a lot. 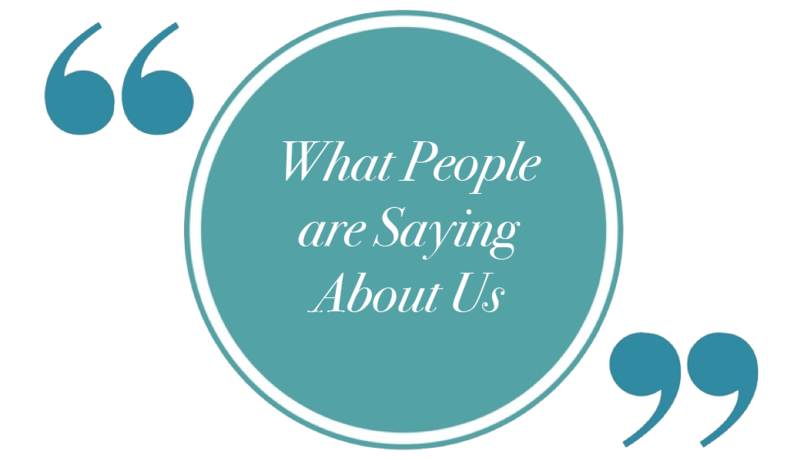 She helped us purchase a a property in Banner Elk from long distance and she did it like as if we were there in person." "Leslie helped us purchase our first home in Boone, NC, and was an absolute dream to work with. She was SO PATIENT with us first-timer home buyers, answering all of our questions graciously, no matter how basic. She was also incredibly generous with her time, showing us lots of different sorts of places when we really didn't have an idea of what we were looking for, what the local market was like, etc. We were struck by her honest assessments of houses we viewed, and really appreciated how much she seemed to be on our side, rather than simply interested in making a sale. I will be recommending Leslie to anyone who needs a realtor in Watauga County or places nearby." "Leslie helped me in ALL aspects of finding my family the right property in NC. Especially, since I am from the northeast. She always was right on top of answering questions or acquiring any information needed. If, it wasn't for Leslie making sure I take the time to really look at the properties she showed me, I would not have purchased the piece I did! She is thoughtful, kind, and extremely efficient. She has great suggestions, and once she has a feel for what you are looking for, she finds it. She is straightforward and no BS!!" "Leslie rocks! If you need an agent in the Boone area you should seriously consider Leslie Eason. We have both bought and sold a home with Leslie recently. Both experiences were wonderful. Leslie was very responsive, knowledgeable and helpful throughout the entire process. We live 3 hours away from Boone and could not drive up to handle all the things that needed doing to sell our home. Leslie helped coordinate cleaning and necessary repairs. She recommended vendors, helped with logistics and ran errands for us from a distance! Leslie also worked seamlessly with the buyer’s agent to ensure a smooth and timely closing. Thanks for all your help!" "Leslie Eason is an outstanding real estate agent who was vital to helping me buy my first home in November of 2009. She understood the types of homes that I was looking for and showed me sever al that were within my price range. Over the past couple of years she has stayed in touch in order to ensure that everything was still working out in my new home, and to offer her services in the future if they are needed. Leslie has outstanding "service after the sale" and I highly recommend her services as a real estate agent. You will not be disappointed!"